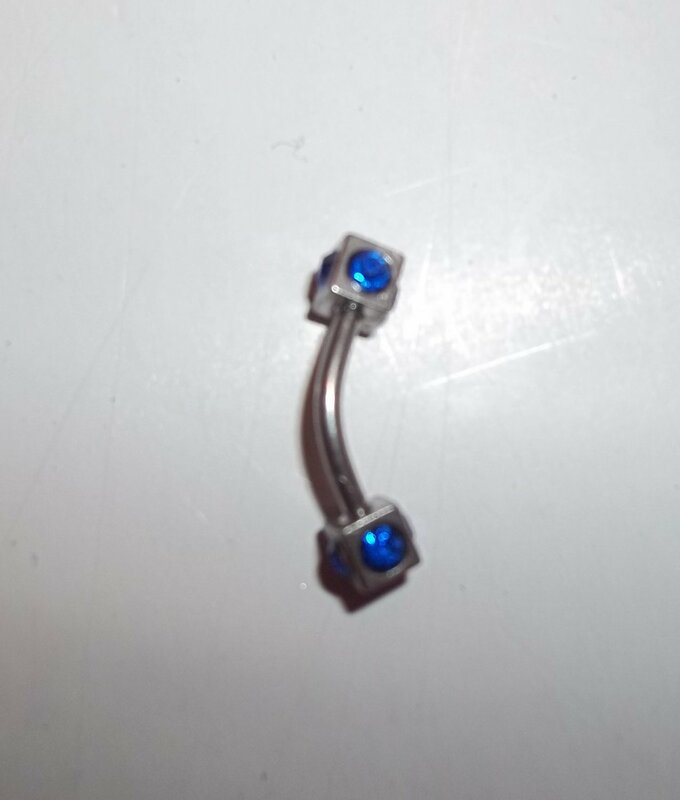 Dark Blue eyebrow curve piercing. The barbell is made out of surgical stainless steel, the ball has rhinestones on Each end of it. It is 18 G. FREE SHIPPING! - Its 18G 316L surgical steel.